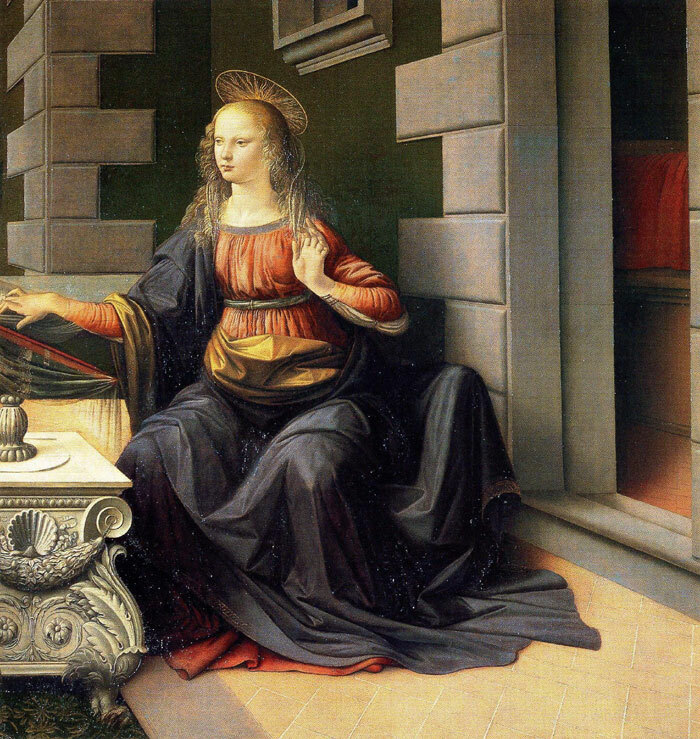 Leonardo's early painting of the Annunciation owes much to the influence of his master, Andrea del Verrocchio. However, it is considered to be da Vinci's first major work, a large painting executed by his own hand with, perhaps, the help of Verrocchio's workshop. 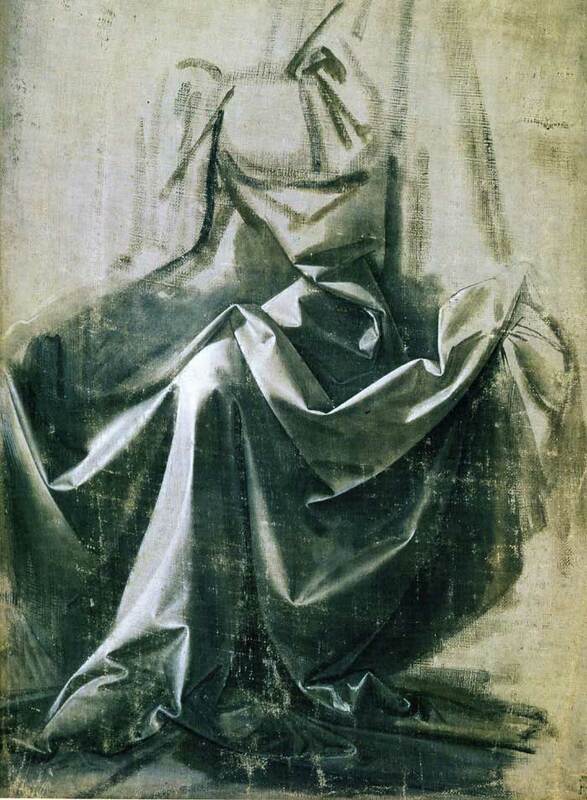 In fact, the attribution to Leonardo was only presented in 1867 and the debates about the parts actually painted by him continued for a long time. Importantly certain aspects of the painting such as the composition, the Archangel Gabriel and the landscapes are pure da Vinci but agreement on many aspects of attributions remain far from unanimous. 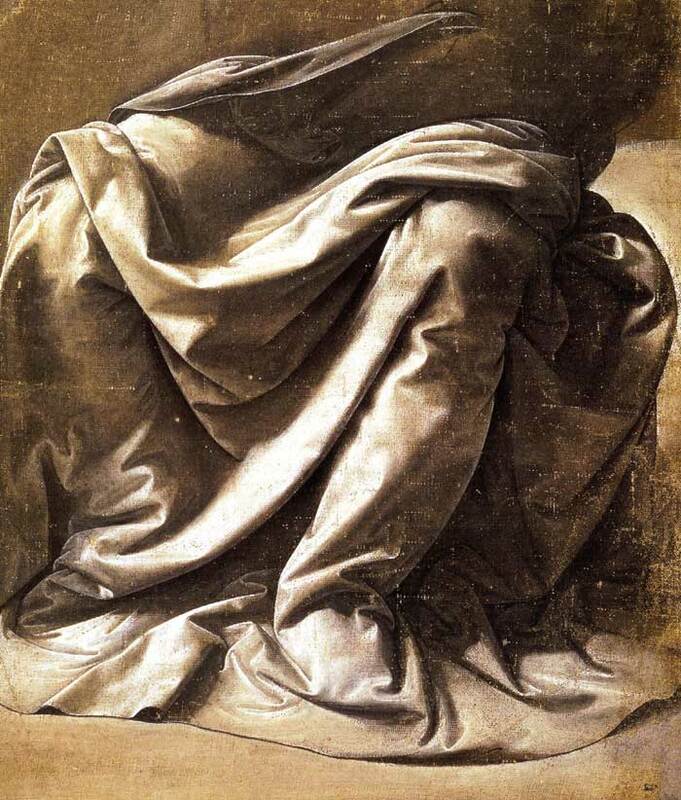 Some details of the painting, such as the wings of the angel, have been repainted by another hand and the marble sarcophagus has been copied from a carving by Leonardo's master, Andrea del Verrocchio. For several years the painting was thought to be the work of Domenico Ghirlandaio or Lorenzo di Credi, Credi was apprenticed to Verrocchio's workshop at the same time as Leonardo. 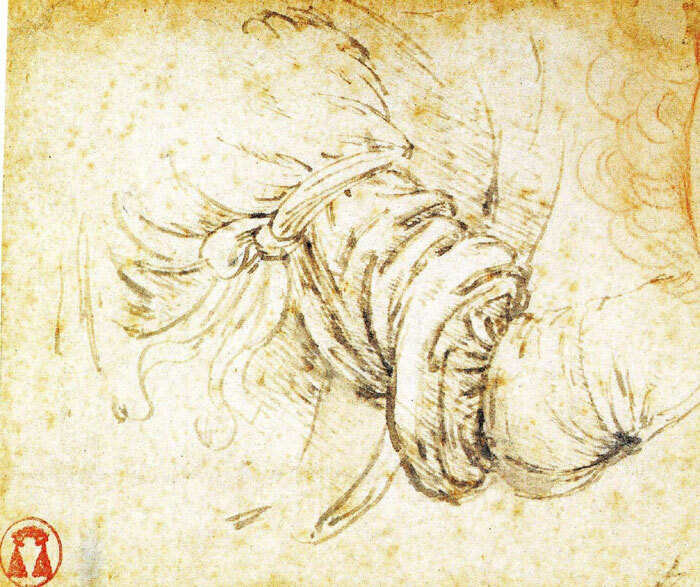 It is feasible that the work is a collaboration between several artists with the finishing touches completed by Leonardo. The story of Mary being visited by The Archangel Gabriel, who explains that she is destined to be the mother of the Son of God, was a popular one in renaissance times. 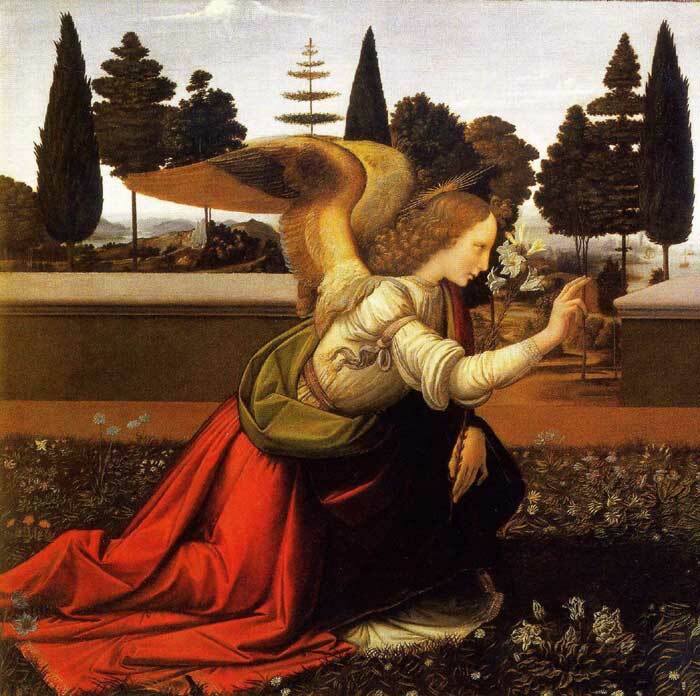 Gabriel is kneeling in the garden of the Virgin. There is a respectable distance between the Angel and Mary, who receives his news sitting at a reading desk. The angel holds a Lilly in his left hand, a symbol of Mary's purity, his right hand raised in greeting. 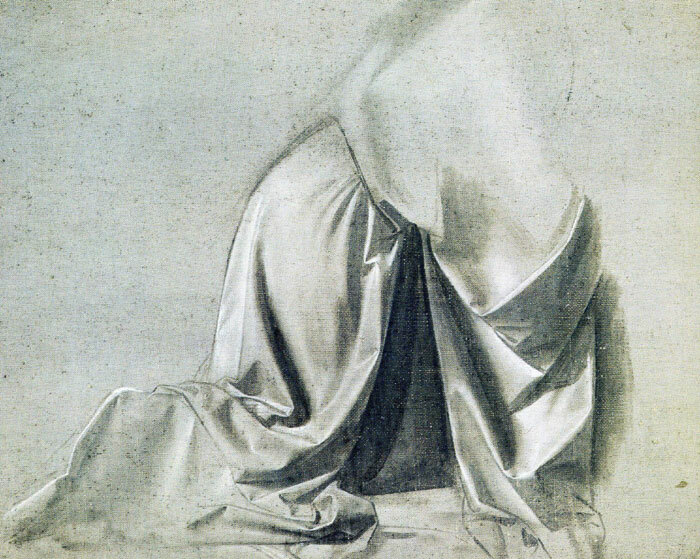 A youthful Mary is presented in a three-quarter view, she appears to be shrinking away from the angel, her body turned towards the viewer. The landscape and the atmospheric depiction of the elements, the mountains and water in the background, are early indicators of a theme that Leonardo was to use in many later works.